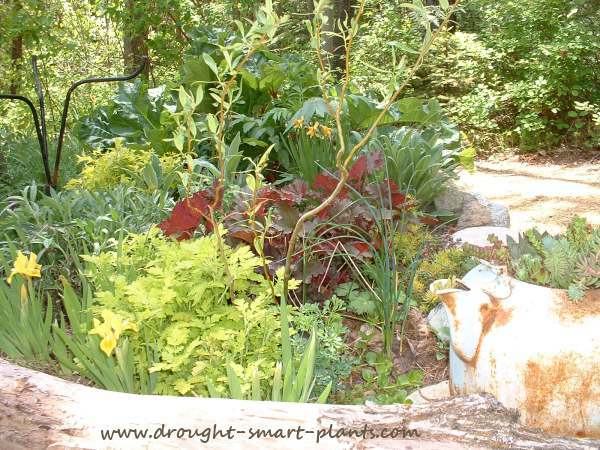 The use of drought tolerant plants is one of the basic tenets in xeriscape design. 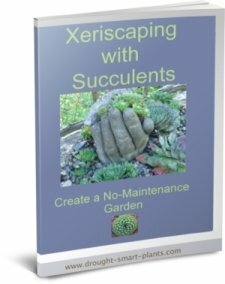 Nowhere is the phrase "the right plant in the right place" more apt than in xeriscaping. Choosing the right plants to save the water is fundamental. Water capture systems and water conservation methods and making full use of the water you have by drip irrigation techniques, rain gardens and mulch beds are right in second place for importance. Permaculture design also uses water wisely, making sure that food producing trees, shrubs and vegetable gardens receive the majority of the moisture captured from rainfall or guided from a waste recovery system such as greywater. Using native plants for a gorgeous wild flower garden is one way to capitalize on some low care plants with unique abilities to survive. Many can go into a summer dormancy in really hot climates, to conserve their energy and the limited water supply. 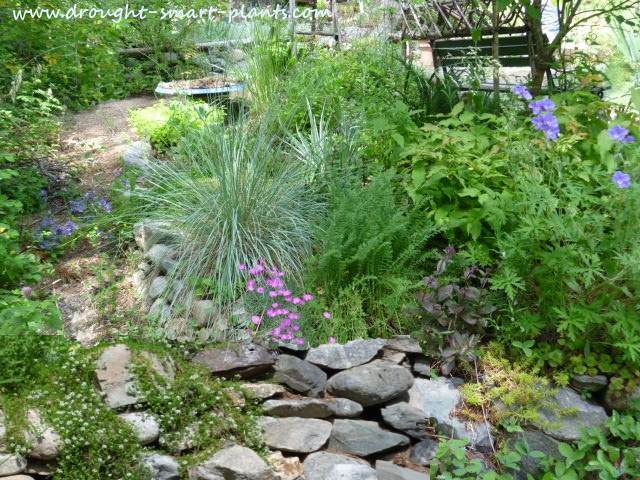 A xeric garden thoughtfully designed and planted with drought tolerant plants will be beautiful, attract birds and insects and benefit the environment in many other ways. In a happy coincidence, many butterflies prefer drought tolerant plants for their nectar. See my list of the Ten Best Perennials for Butterflies. Soil type is crucial for the success of many drought tolerant plants; they require good drainage, but don’t worry, they’ll be quite happy in raised beds if your soil is of the clay variety. The addition of sand and compost will improve any soil, and using a lava rock or pebble mulch perfectly complements the choice of drought tolerant plants with low maintenance requirements and again, prevents the soil from washing away. 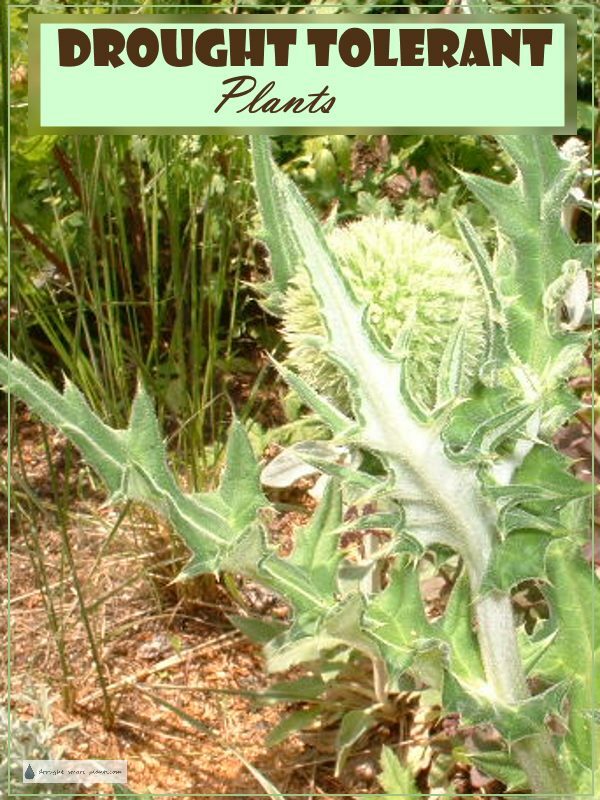 Why Should I Plant Drought Tolerant Plants? 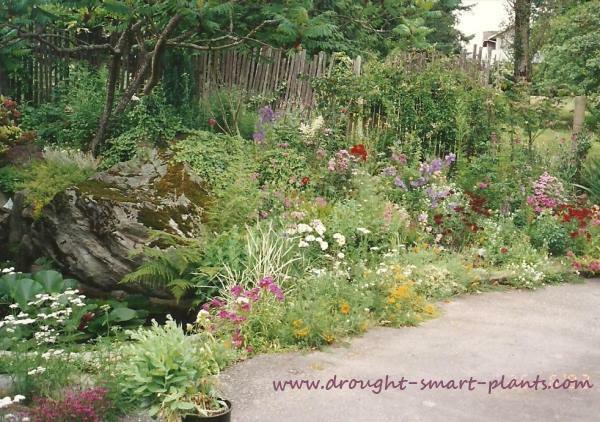 They are valuable habitat and attract wildlife – many animals, birds and insects are attracted to many water wise plants by the long season of bloom, edible seeds or to feed their larvae. For erosion control – dry soil tends to erode faster in a sudden rainstorm – utilizing the extensive root systems of most drought tolerant plants will hold the precious soil in place. They have medicinal and healthful benefits – many plants used for herbal tinctures and teas have drought smart strategies such as an abundant supply of essential oils which help the plant battle drought, but also have health giving or infection fighting properties such as Oreganum. 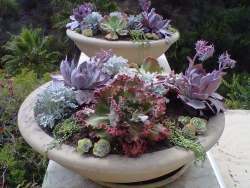 Some of my favorite drought tolerant plants are Sedum, with its extensive fibrous root system, Thymus which I plant as a lawn, Sempervivum, the rare and hard to find Jovibarba, Orostachys and Rosularia, as well as many other perennial xeric plants. The climate is changing, and so variable that many plants don’t know which way is up, but the drought tolerant plants that we grow and our grandmothers grew before us are so adaptable and useful in so many ways they’ll be with us a long time yet. Don't settle for simply beautiful - demand and expect hardiness, ease of growth, and drought tolerance in your plants and low maintenance landscaping to grow them in.